One of the many Marvel properties that have been a hit with fans is ‘Daredevil‘ from Netflix. 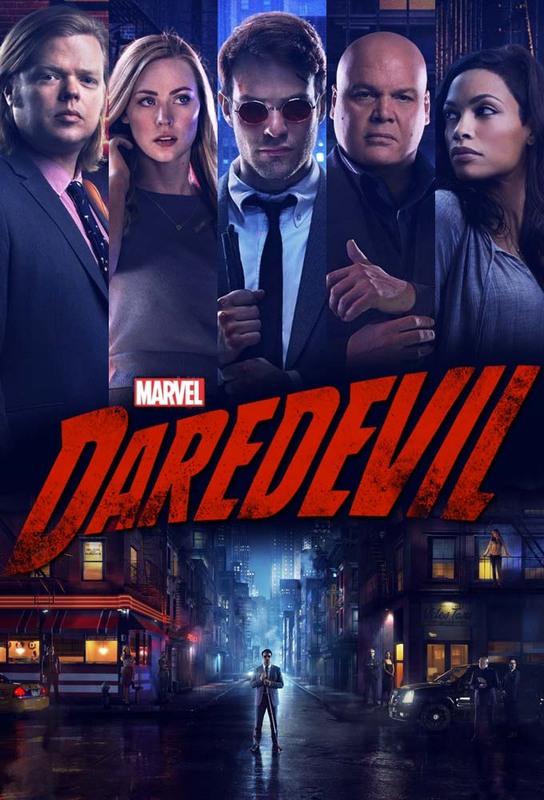 Charlie Cox, Deborah Ann Woll, Elden Henson, Scott Glenn and Rosario Dawson make out an awesome cast that tells the story of Matt Murdock, a blind lawyer from Hell’s Kitchen. As if the cast isn’t already awesome, season 2 brings in a few extra names and those names are attached to some fan favorite characters. Jon Bernthal is attached as Frank Castle – Punisher a highly anticipated addition to Hell’s Kitchen. We also see Elodie Young who will be Elektra. I’m totally excited for season 2 and can’t wait for March 18! Check out the trailer and see what I’m talking about! Rosario Dawson Joins Netflix’s ‘Daredevil’ Series!! This entry was posted on Monday, February 15th, 2016 at 2:37 pm	and is filed under Comics, News, Television. You can follow any responses to this entry through the RSS 2.0 feed. You can skip to the end and leave a response. Pinging is currently not allowed. « ‘Game of Thrones’ Season 6 Trailer Gives More Questions Than Answers!! !